Working on historic homes and buildings often requires the application of techniques employed by several trades. In recent years I’ve been learning more about preservation masonry. For an upcoming project wherein I’ll have to precisely cut a lot of bricks out in the field I decided to invest in a 7″ angle grinder and a diamond masonry blade. 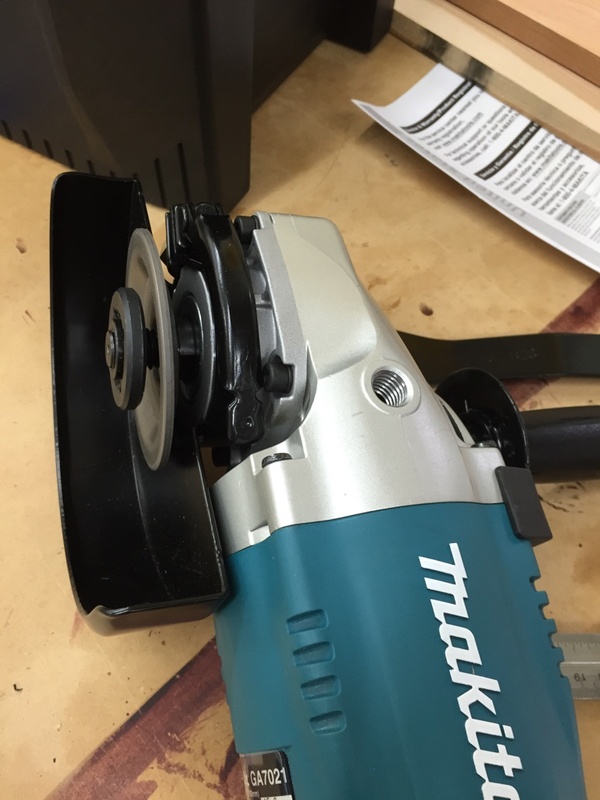 I’ve been a fan of Makita tools as I use many of them in my work. (From large portable power jointers, angle grinders, chop saws, circular saws etc. and they have all served me well). 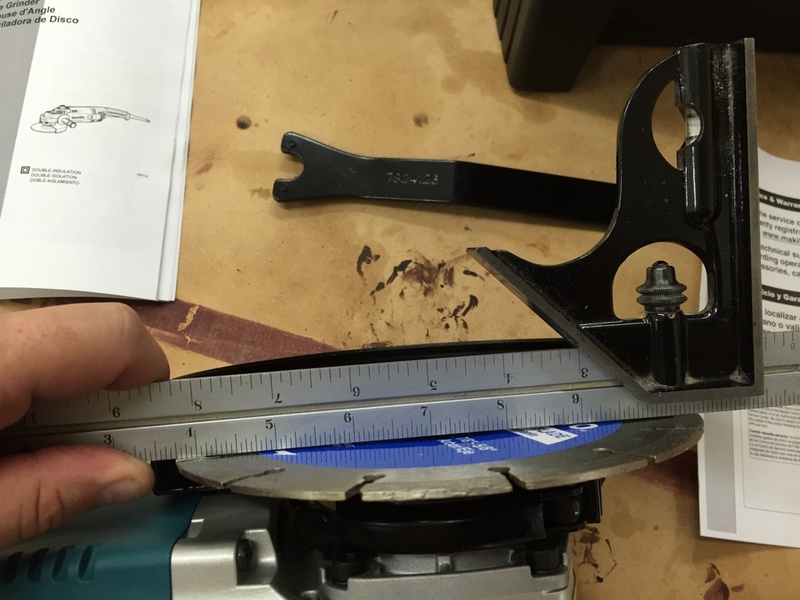 The 4″ angle grinder I had would not have the depth of cut I wanted to make fast work of brick and block cutting. 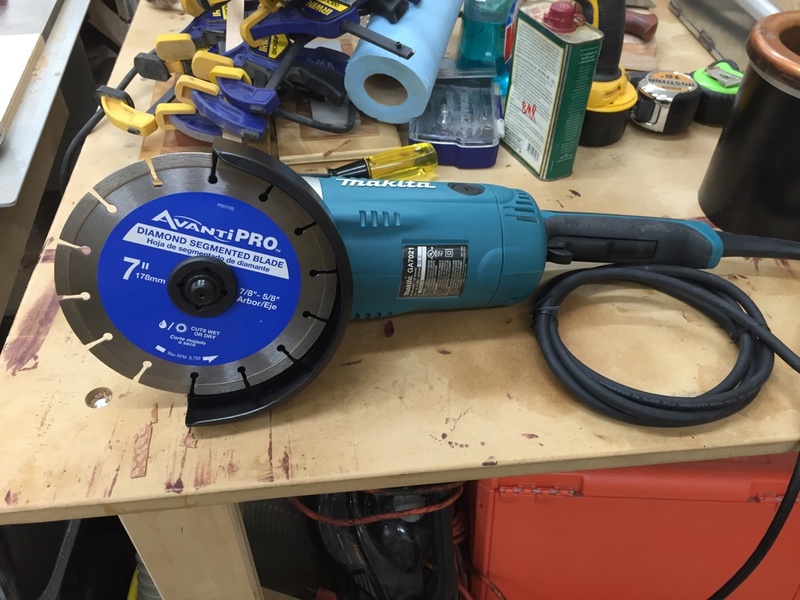 I bought the Makita GA7021 15amp, 7″ angle grinder at my local Home Depot as it was the largest grinder they stocked, had the specs I was looking for and the Makita website showed this model using a diamond blade on masonry. When I got it home, opened the box and read the manual I saw that it only included the domed inner flange and lock nut shown below. The instructions made no mention of using flat blades in the tool. I had concerns about support of the blade given my smaller grinders had a separate flat inner flange for use with flat cut off wheels. 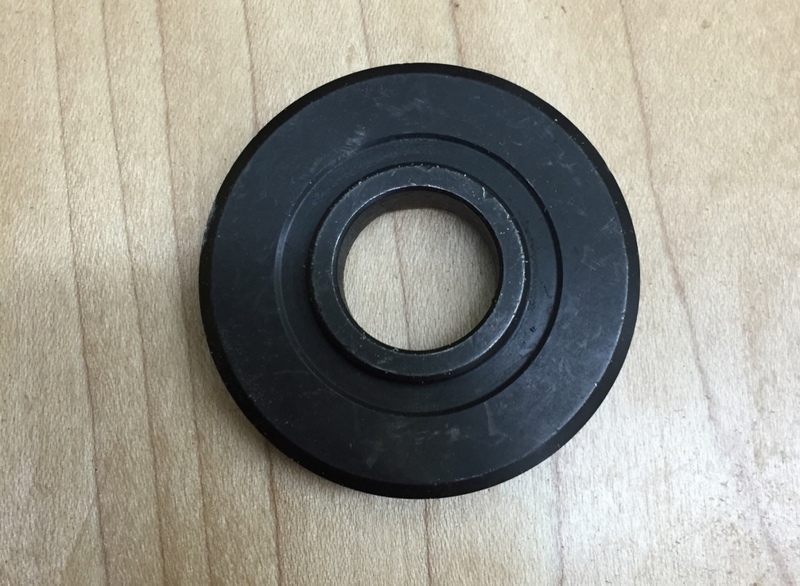 Inner flange and outer nut that come with the grinder. 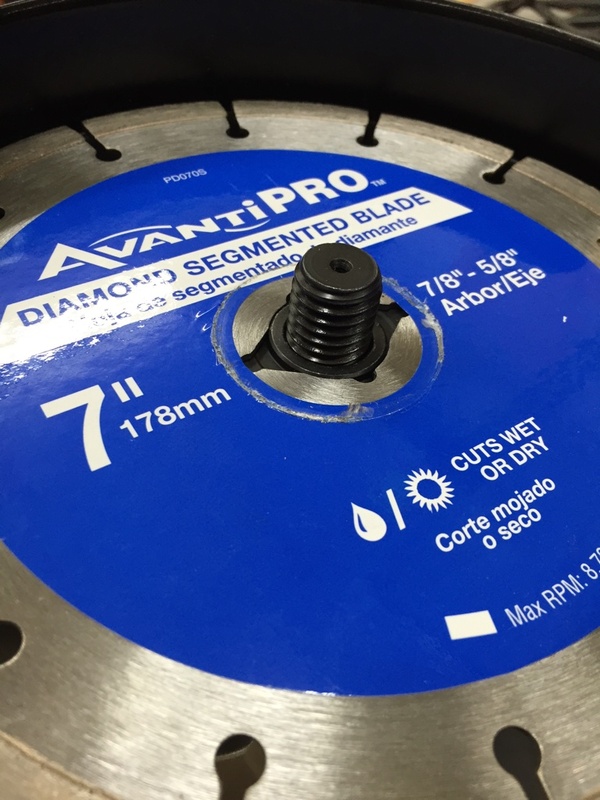 I opened up the Avanti Pro segmented diamond blade and wanted to make sure the blade was dead flat, which it was. When installing the blade given the included domed inner flange the pressure the lock nut applied was sufficient to deform the blade. I did not feel this was safe and would not use it in such a configuration. Diamond blade deformed by nut and lack of support from inner flange. 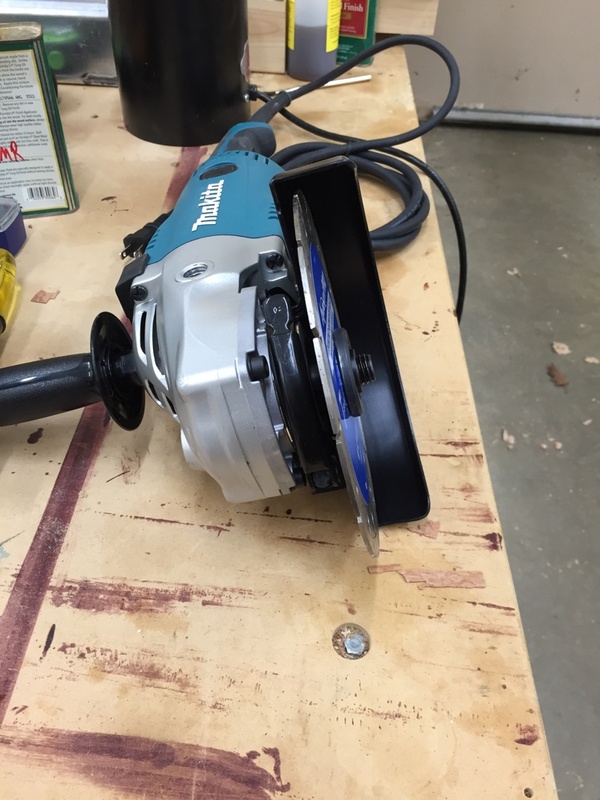 I called Makita’s tech support and the gentleman I spoke with said the above configuration would be the approved way to use a 7″diamond blade with this grinder. 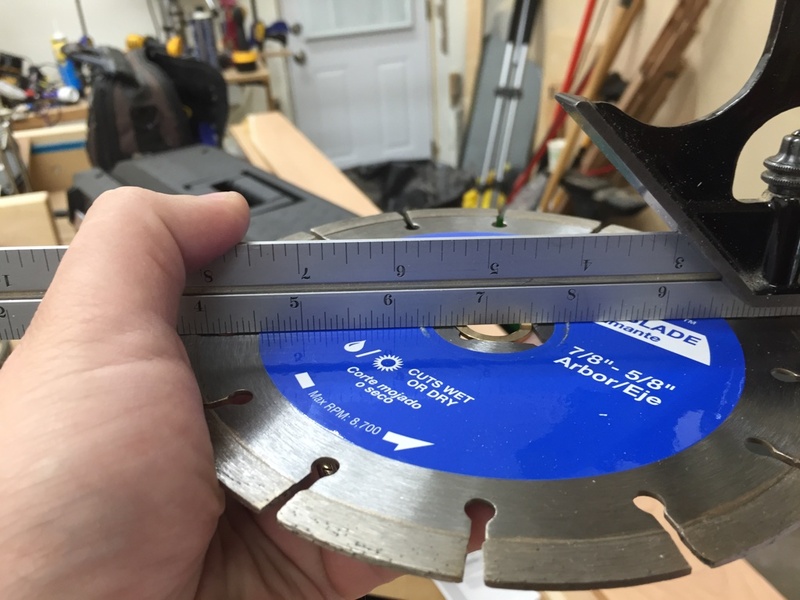 I argued that this was unsafe and a deformed blade would likely bind in the kerf and asked repeatedly if there was a flat inner flange available for this unit. As far as he could tell, he said no, but as a follow up I offered to send photos so he could escalate as I could not believe that answer given all the smaller Makita grinders came with both types of flange and Makita itself sells 7″ diamond masonry blades which they show being used in this grinder. I sent the above three photos and a detailed description and never heard anything more back from them. I was ready to return the unit and get a Rigid or DeWalt but they all seem to come with the same default flange setup out of the box. For DeWalt the unit cost more and had a lower amperage motor but could special order a set of flat flanges for an additional fee. In pricing out alternative units I stumbled across this link on Home Depot’s website which included a hard to find Q&A section wherein someone else asked the same question about an inner flange for flat blades and someone at Makita responded to his question with the following reply: “Yes, the correct flange you would want to use to install specialty blades on the Makita 15-Amp 7 in. Angle Grinder (GA7021) is the Makita Inner Flange (224378-9). 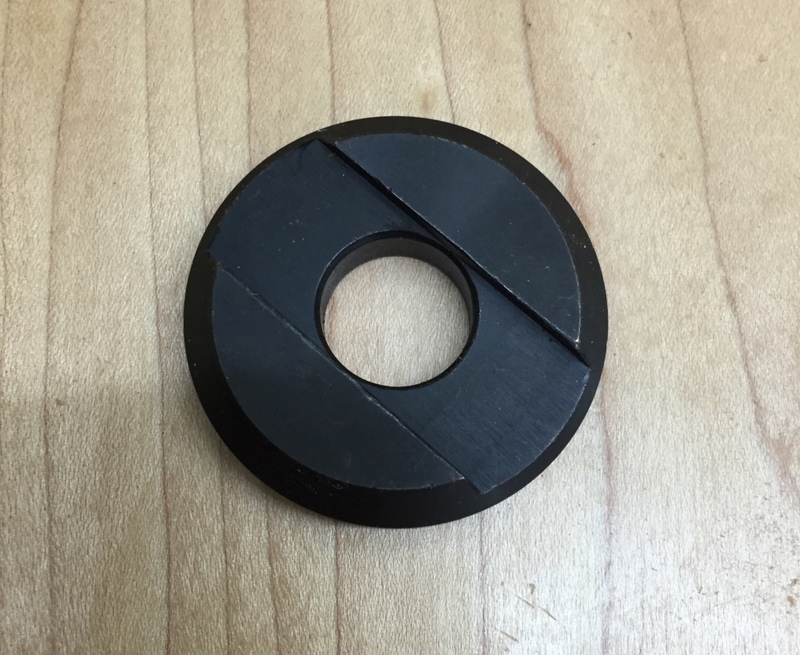 To purchase this flange, please contact our Customer Service line at 1-800-4Makita (1-800-462-5482).” I looked up the part in more detail and it looks like the flat inner flange was made for other Makita units with the same size spindle and in all their official documents don’t show it being listed as a part for nor compatible with the GA7021 but looked like it would do the job and I figured it would be worth a try. It was annoying that the Makita Tech Support person I spoke to did not have access to the above information. The fact that a part exists was good news and I tried calling Makita to order it, but it was 6pm and the person who answered said they could not take orders at that time. My frustration level was definitely high at this point so I ordered the flat inner flange from a 3rd party tool part vendor via Amazon.com and it arrived in a few days. I installed the flat inner flange and the blade fit perfectly. No deformation of the blade. I hope that this post saves someone else from the headaches I had. If so, please let me know in the comments below.